At Anna Maria College, we’re a dedicated, diverse community of students and educators who seek to transform our world for the better. Here you’ll become a professional in training, a bold leader in your field who learns by doing and leads by serving. Founded in 1946 by the Sisters of St. Anne, Anna Maria College is a private, four-year, coeducational Catholic college with an undergraduate community of 1,000 bold and compassionate students. Anna Maria is located on a beautiful 192-acre campus in idyllic Paxton, Massachusetts, just minutes from urban Worcester—a bustling college town and the second-largest city in New England. At Anna Maria, you’ll develop the strong foundation you need to live a meaningful life and be motivated and prepared to pursue a productive career. Faculty will stress the importance of personal values, social responsibility, and spiritual growth. The liberal arts courses you take will sharpen your communication and critical-thinking skills. A variety of internship experiences allow you to apply what you have learned in the classroom to real-world situations. Potential for excellence: that’s what we see in every student we accept to Anna Maria—the desire to work hard to serve others, to be exposed to new ideas, and to make the most of the breadth and depth of academic offerings we provide. While many schools offer tracks in specialized fields, at Anna Maria, we elevate professional training to a whole new level with our Concept-to-Contact learning that lets you take what you learn in the classroom and apply it hands-on out in the world, turning theory into practice. By embedding our career-focused programs within a rich liberal arts curriculum, we educate the whole person—providing you with a solid grounding for life. Our four-year bachelor’s degrees in 29 inspiring majors provide the key you need to advance in leadership positions across a wide range of fields. In health care, business, or nonprofit communities, in criminal justice, education, nursing, public health, or sports management and safety, our graduates make a positive difference every day. 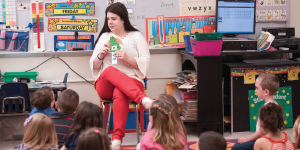 Faculty at Anna Maria College make a profound impact in the classroom and in their own professions. They are proactive advisors who help connect students with the right majors and the right internships at the right time. 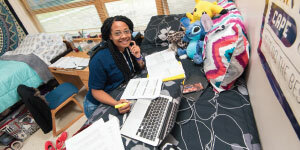 They help students design a four-year plan for development and success. Here faculty are leaders on a campus devoted to servant leadership, supporting students who are drawn to the helping professions and fostering their desire to make a positive difference. Professors are also experts in their fields: they’ve published books, contribute to scholarly journals, and serve as consultants to businesses and other organizations. Faculty are instructors in the classroom and mentors outside who are readily accessible during formal office hours and informally in the hallway or dining hall. In fact, when enrolled, students are assigned a faculty advisor who remains their advisor through four years. Anna Maria offers a multitude of extracurricular opportunities in a friendly, close-knit community. 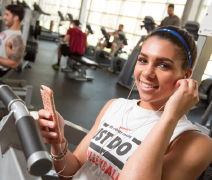 More than half our students participate in NCAA Division III and intramural sports. Students are highly involved in campus and residential life activities, and with more than 30 student organizations such as Leadership Club, ALANA, and the Student Nurse Association, you can get involved, develop leadership skills, and make lifelong friendships. Our goal is to welcome motivated, college-ready applicants and provide a stress-free admission experience that allows us to get to know our prospective students. Admission decisions are made on a rolling basis. We are a Common App member and require your application, high school transcript (including first-quarter senior year grades), an essay, and one letter of recommendation. Note that we are test optional for all majors except Nursing. Applicants for any of our Art majors are required to submit a portfolio for review, and an audition is required for all prospective Music majors. Anna Maria College is dedicated to maintaining a quality and affordable education. Eighty-five percent of the 2017–2018 first-year class received financial aid. We are committed to helping you make your college education affordable through a range of funding options, including merit- and need-based scholarships up to $25,000, grants, employment programs, and loans.